Elena tells us in her Models Direct modelling agency review video about her role as a modelling extra for a TV commercial. Her modelling assignment was for the Huuuge Casino company. The Models Direct assignment team put Elena forward along with all other female models that matched the assignment requirements and the client selected her for the job. Well done Elena, thanks for the feedback and we look forward to seeing the advert. It’s cold outside but that doesn’t stop determined models from turning up to photo shots, catalogue work and fashion shows. 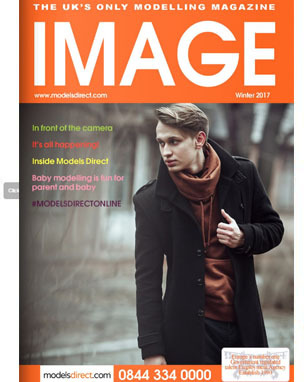 In the latest edition of the Models Direct modelling magazine, IMAGE, you can read about all the going on’s at the modelling agency over the chilly months of winter. Also discover tips for being in front of the camera and why parents are having fun on baby modelling assignments. Lets face it we all loved dressing up as kids either as a spaceman, superhero or princess but probably never imagined that some would actually pay us to do it. Well that’s exactly what male model Catalin found found himself doing on his first modelling assignment with Models Direct. Catalin got so caught up in modelling his costume that he lost track of time. From the sound of his assignment feedback it looks like he had a great time on his modelling job.